– Dr. Christian Ginski is an expert on imaging of extrasolar planets using large telescopes around the world. He’ll tell us more about photographing extrasolar planets! – Professor Matthew Kenworthy’s research interests include exoplanets and ring systems. He’ll talk about how to find planets like those recently discovered around Trappist-1! 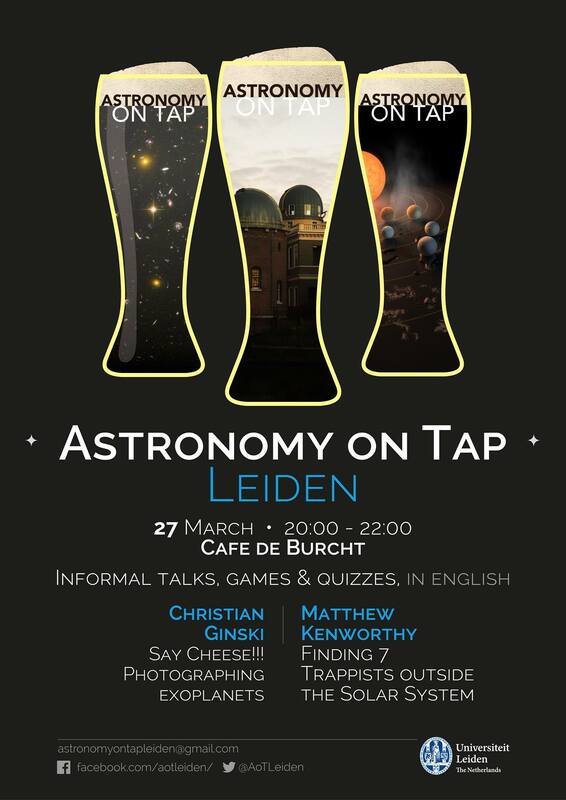 Astronomy on Tap is organized by professional astronomers connected to Leiden Observatory. All events are in (simple!) English and take place at De Burcht on the last Monday of the month – free of charge. We welcome all ages and backgrounds – a passion for beer and/or astronomy is a bonus!